Cryptocurrencies are a relatively new development; the first of its kind, Bitcoin, was created just nine years ago, in January of 2009. Ever since the mysterious Satoshi Nakamoto developed the revolutionary digital currency, thousands of others have popped up. The price of cryptocurrencies have skyrocketed in the second half of 2017, the welfare of which is looking nowhere but upwards in the upcoming year, and beyond. Bitcoin are pumped into the world’s supply through mining, in which independent parties verify the transactions of others, in turn breaking off tiny chunks of the cryptocurrency in compensation for their computing power, Internet access, and cost of electricity. Let’s look at some of the most thought-provoking statistics regarding Bitcoin mining in 2017. 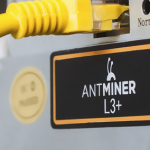 Many people compile their computers’ digital power together to mine Bitcoin. As with many things in life, cryptocurrency mining is easier in pools than when individuals mine individually. Some Bitcoin mining pools are larger than others, as hosts of such groups of investors continually try to build the largest pools on the World Wide Web. Currently, BTC.com hosts the largest Bitcoin mining pool on planet Earth, featuring a hash rate distribution of 19.2 percent, in terms of all Bitcoin-related hashes in the last four days, ending Saturday, 12:14 P.M., December 30th, Eastern Standard Time. The difficulty of mining Bitcoin refers to how much computing power must be poured into such activities to return a standardized unit of the cryptocurrency. As of today, the Bitcoin difficulty is currently rated at 1,590,896,927,258. Bitcoin network mining difficulty changes every 2,016 blocks. In as-simple-as-possible terms, such difficulty is expressed in a numerical term to describe how difficult locating a particular hash is. The next Bitcoin mining difficulty will decrease about 16.5 percent, down to 1,328,621,131,354, making it slightly cheaper to earn the same amount of Bitcoin. Cryptocurrencies are created as computers decrypt digital puzzles. Bitcoin, for example, currently has about 16.7 million units outstanding. When all bitcoins have been mined, there will be an even 21 million bitcoins in circulation. As people mine Bitcoin, they’re given a small sliver of the value of the transactions they verify through mining. 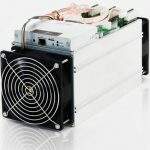 Bitcoin mining isn’t free, however, and relies on complex, advanced, expensive computers, the cost of Internet connections, and electricity. 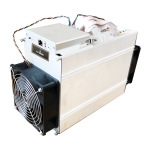 Bitcoin is more popular than ever before, and, by extension, so it Bitcoin mining. Research indicates that, worldwide, more electricity is used to mine Bitcoin than the aggregate electrical utilization of the world’s 159 smallest countries – that’s a lot! Bitcoin mining pools, as discussed earlier, earn greater returns by joining forces than mining on their own, individually. 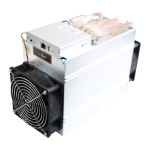 As such, the cryptocurrency market has strong demand for digital companies to host mining pools. 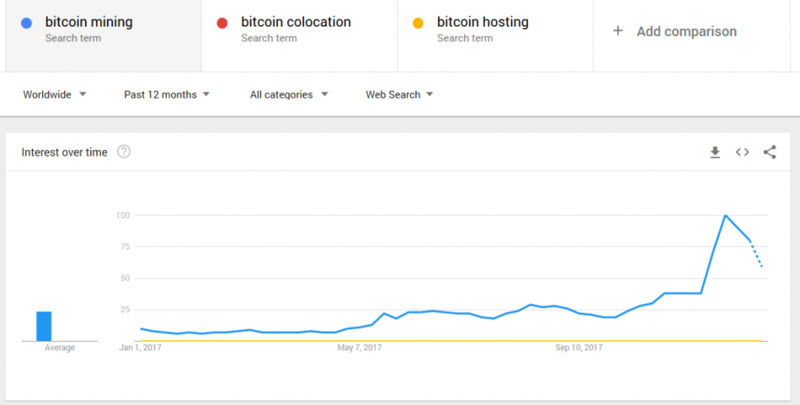 AntPool has given BTC.com a strong run for its money over the past twelve months, effectively competing at a neck-to-neck level with BTC.com, ViaBTC, and BTC.TOP. The market is likely to continue supporting staunch competition between mining pools for the foreseeable future. Although 2017 has been the best year for cryptocurrencies, by far, 2013 and 2014 have hosted strong rallies in Bitcoin rallies. At the end of each fiscal year, such rallies fell off, causing big, big bursts of quasi-speculative bubbles. Bitcoin holders should exercise caution in loading up on Bitcoin in coming months – January, at minimum – as the price could collapse even further. Bitcoin Core voting preference refers to the choice of miners to seek out traditional, basic Bitcoin instead of other blockchain forks. Nearly half of all voters of mining pools prefer Bitcoin Core, with 49.9 percent of mining constituents reporting such.